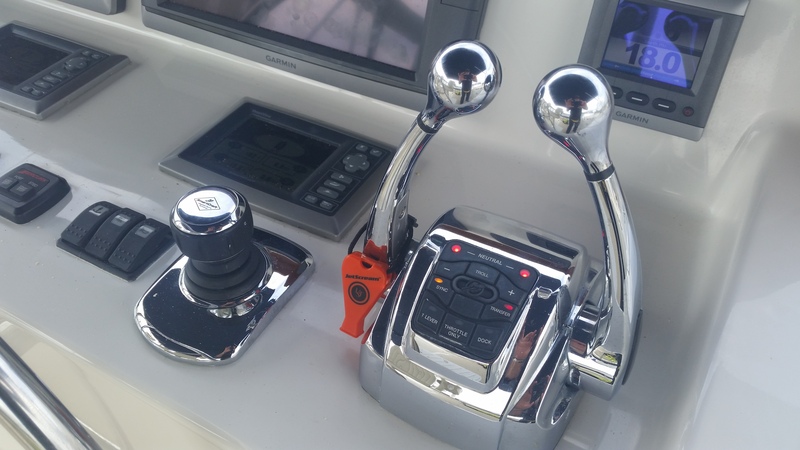 Ever heard of Skyhook, a dynamic positioning feature available on POD Drive boats with Volvo IPS or Cummins Zeus Systems. I am aboard a southbound Grand Banks with PODs and got caught in 40 knot winds between the Sisters Creek Drawbridge on the ICW and the St Johns River. We sucked behind the shipyard to use as a windbreaker and used the Skyhook feature to hold our position in opposing 40 knot winds and 3 knot tidal current. It REALLY WORKS! Watch the red marker behind the boat. It is always in the same place.Ask Captain Chris for more details or sign up for our newsletter. We are out there doing IT! 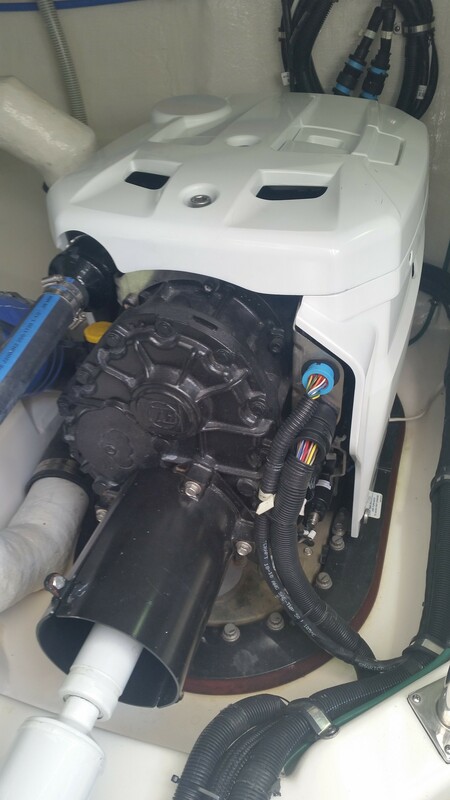 IPS, ZEUS, Zed F (ZF) are the popular Pod Drive Propulsion Systems for modern planing hull pleasure boats. 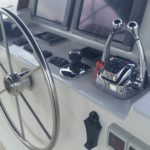 Many commercial vessels use Z Drives, the earlier industrial version of the pleasure boat Pod Drive. 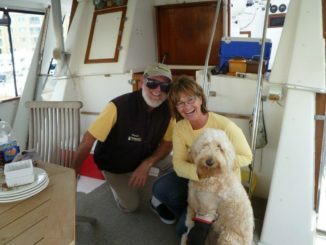 Currently on a Grand Banks 43 Europa, I am helping the new owners relocate their boat south from Annapolis to Florida. 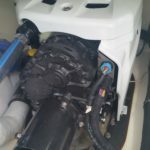 This gorgeous cruising boat is powered with the Cummins engines and the Zeus Pod Drive system. In a few weeks I will be training aboard a Cruisers Cantius with Volvo IPS Pod Drives followed by a delivery of a Beneteau Swift Trawler 50 IPS Volvo. It’s boat show season and things are popping. 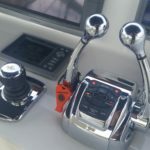 Many of you have asked about this newer technology in the pleasure boat market and how it compares to the more traditional propulsion. 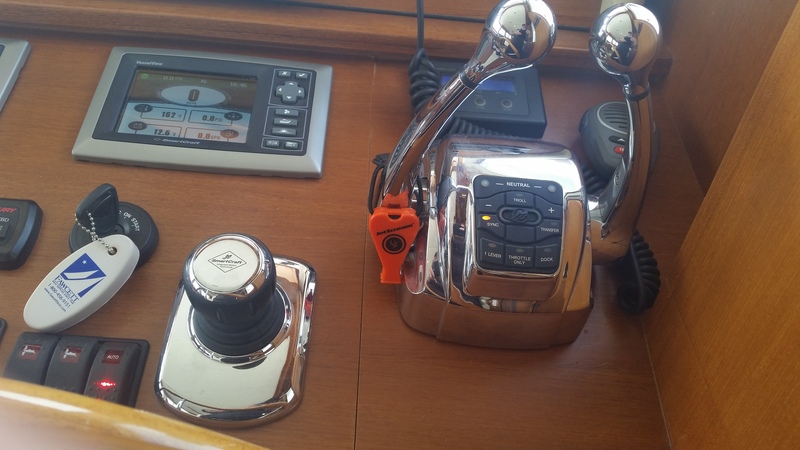 These Pod Drive Systems provide greater maneuverability by using independent computer controlled out drives beneath the vessel hull. Different than an inboard/outboard these drive units are under the hull not near the stern. 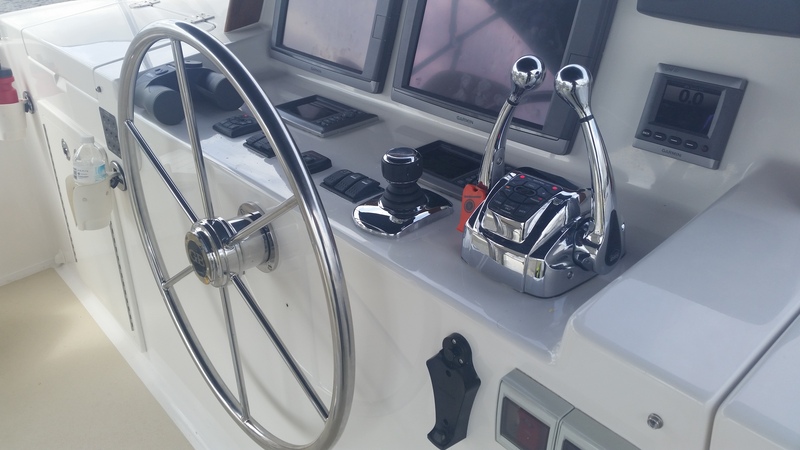 Because the drive units can be steered the proper term is directed thrust and a rudder is not used to steer the boat. Check out our calendar to see where we’ll be then Ask Captain Chris about our experiences with a pod drive system and how it works. Stay tuned to our Face Book Page for our trip delivering the new Swift Trawler from St Bart’s Yachts in Charleston to the Fort Lauderdale Boat Show. 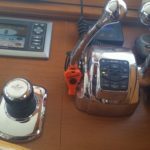 Captains Chris and Chuck will post frequent updates on Facebook during their 500 mile cruise down the Atlantic Coast and ICW in mid October. Friend us, love us, like us and follow along to see our progress. 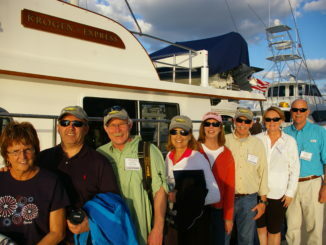 Come visit with us at Cruiser Port at FLIBS – The Fort Lauderdale International Boat Show. We are presenting seminars on the docks. Check the boat show program or email us for exact location and times. 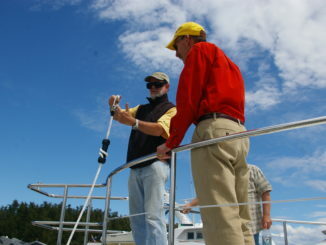 And visit the Beneteau Swift Trawler 50 at the Beneteau docks and ask for Chuck from Charleston. You can recognize him from our Facebook photos. Anacortes WA! New England! Baltimore MD! Fort Lauderdale FL!